Welcome to my weekly series: Book Club Picks. This week, I'm sharing some 20th Century Historical Fiction novels that would be great choices for a book club discussion. Covering topics about immigration, World Wars I and II, and the Civil Rights Movement in the 1960s, these books will give book clubs plenty to talk about. This novel brings 1930s Shanghai and Chinatown in Los Angeles to life through the story of two sisters, May and Pearl, who have to leave the country they know and love to make their way in the United States. Book clubs can discuss the society and customs of the time in both Shanghai and the U.S., the mistreatment of Chinese immigrants in the U.S. during the war, the role of women in this culture and the bonds of sisterhood. This novel brings us to the United States in the 1920s to explore immigration and the Orphan Train Movement. Book clubs can talk about the moral issues around this movement to take orphans from cities in the East to farms and small towns in the Midwest. Discussions can revolve around the difficulties immigrants and orphans faced, the feeling of being an outsider in society and in their homes. There is a contemporary aspect to this novel as well, which adds more to the discussion. Here's another novel focused on immigration, but this one is about the Koreans and Japanese moving to the Hawaiian islands in the early 1900s. Book clubs can explore the culture of Korea and Hawaii at that time, the struggles immigrants faced and the changes that took place in Hawaii then. This story is also about picture brides, women who left Korea to become the wives of men they had never met. Their experiences, both good and bad, will provide plenty to talk about. This is a slightly more modern novel, bringing us into the middle of the 20th century, but also taking us back to the Greco-Turkish War of the early 1900s. Book clubs will have lots to talk about with this novel, including the topic of immigration from the perspective of Greeks coming to America, and the effort many faced in balancing their heritage while fitting into American culture. But discussions will also revolve around the main character's challenges related to being a hermaphrodite, which is an unusual and interesting, as well as potentially controversial topic to explore. This is a novel that many may have read due to its popularity, but it does make for an excellent book club discussion. Bringing us back to the American Civil Rights Movement of the 1960s, this novel gives book clubs the opportunity to discuss race relations at the time, discrimination, women's rights and much more. Told from the perspective of three different women, this novel takes readers into the heart of women, both black and white, at a time of great change, turmoil and opportunity. Next week, I'll be sharing some examples of different ways that book clubs can choose the books they read, with pros and cons for each option. Please let me know if you have suggestions for other topics to cover, or if you would like to write a guest post for my Book Club Picks series. 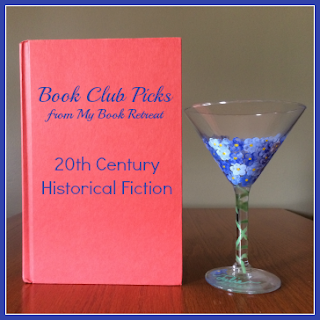 I'd love to hear about your book club! The Help was a GREAT read. I'll have to add the other ones to my library list. Yes, I loved the Help! Definitely try some of these others as well.